Winifred Relph’s reading habits were highly influenced by her family and the people she met in her lifetime. 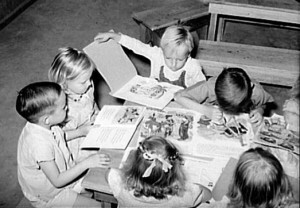 From a young age, her father introduced Winifred to reading and always emphasised the importance of books as a form of education. She writes: ‘father was a pioneer Socialist and Trade Unionist, a great reader, and he bought us books and encouraged us to read’ (34). This early motivation from within the household meant that Winifred’s relationship with education, reading and writing began as extremely positive. ‘Through Rough Ways’ shows how enthusiastic Winifred was to educate herself but, also, how at times, the process of learning to write was rather challenging for her: ‘soon after starting school I was busily drawing with my chalk in my left hand; suddenly a very sharp voice ordered me to “Put my chalk in my right hand at once!” It was no use explaining that I couldn’t write that way, so I struggled with my right hand for years’ (11). Although this may have considerably effected Winifred’s confidence and made her schooling experience more difficult, it did not limit her passion for learning or expanding her knowledge. Winifred recalls: ‘by the time I was ten I was an avid reader; I read anything that came my way. I loved the sound of unusual words!’ (14). Winifred was always seeking new novels to read and her fascination with literature and the English language only progressed as she became a young adult. At the age of 20, she met an Australian sailor who hugely impacted the way she viewed the world: ‘I found him interesting to talk to. He was a socialist and an active member of the Australian Labour Party, he lent me one of Upton Sinclair’s books and we discussed the conditions of working people in our different countries’ (43). Engaging in political conversation with Bill and expanding the type of literature she was reading, meant that Winifred was able to form her own political opinion and begin to pursue her interests in politics. Graves writes: ‘politically aware working-class women responded energetically to the resurgence of a strong political labour movement’ (1994, 36). For Winifred, the ongoing revival of the Labour Party was exciting and she was highly motivated to become involved. Grave proposes: ‘Their (working-women’s) mass mobilization surprised even the men of their own movement’ (1994, 1). Across the country, working-class women like Winifred were actively searching for ways to make a difference in the political sphere. Winifred joined the Labour Party and her local Left Book Club in order to gain a wider understanding of political issues and, I suggest, follow in her father’s footsteps. 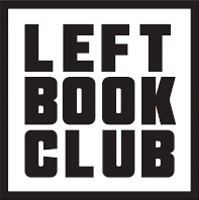 Winifred remembers: ‘when the Left Book Club books arrived they were far too difficult for me to understand, I noticed that groups of readers were being formed into clubs and readers were encouraged to join and discuss the current books’ (114). Meeting up with fellow members and conversing about the books meant that Winifred was able to appreciate what the novels meant but, also, be ‘drawn into the excitement of the newly formed Left Book Club Group’ (1). ‘Through Rough Ways’ highlights how important other people were in influencing Winifred’s reading and writing habits. Her father, friends and the members of the Left Book Club, all motivated Winifred to be a fervent reader but, also, develop a keen interest in Labour politics.